Follow these simple tips to avoid getting in to a St. Louis car accident caused by sun glare. For those of us that like driving, there are few things nicer than hitting the road on a sunny day. Unfortunately, this joy comes with a bit of frustration: Glare. If you aren’t familiar with the term, glare refers to exceptionally bright light coming through your windshield. Usually, a battle with glare will not result in an accident, but sometimes it does. 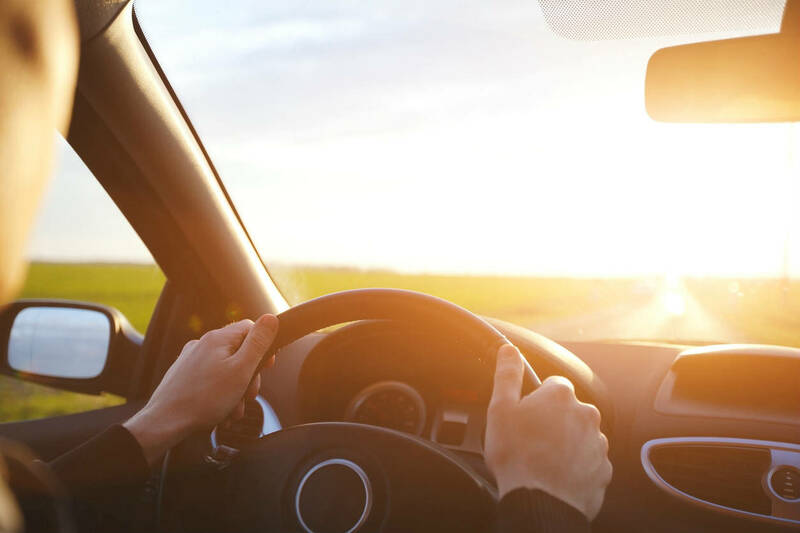 The following prevention tips can help you avoid a St. Louis car accident caused by sun glare. One thing that vehicle safety experts know is that having your attention off of the road for even a couple of seconds can lead to a crash. This is the primary reason why there is such a massive campaign against texting and driving. This same philosophy can be applied to glare as well. When bright light comes through your window, your vision is temporarily compromised. In the few seconds that it is, you could make a mistake and end up in a crash. This is not an uncommon scenario either, given that experts suggest that bright sunlight conditions lead to a 16% increase in auto accidents. In the morning and at sunset, the light is at a poor angle, but it is less bright. At midday, the sun is brightest, but it is straight above your car. The most dangerous time of day for glare-related accidents is when the sun is both bright and at an unfavorable angle. This is during the late afternoon. The most common conditions that lend themselves to glare are clear, bright days. This is not always the case, though. Sometimes the sun can still shine brightly during rain or snow, which is even more unsafe. Bright light combined with a wet windshield severely lessens visibility. Though you cannot do anything about the sunlight itself, you can do a lot to reduce how much of it you experience. Wear Polarized Sunglasses – These special sunglasses will reduce glare and allow you to see the road better. Use Your Visor – If the sun is in the right position, your visor is an excellent tool for blocking it entirely. Clean Your Windshield – Dirty windshields are more susceptible to glare. Keeping yours clear will reduce glare significantly. Replace Old Wipers – Poorly functioning wipers lead to streaks on your windshield. These streaks increase glare. When you think of car accident causes, you probably never think of glare. While it is less of a concern than the most prominent causes, like texting or drinking and driving, it is prevalent enough to try and prevent it. If you follow the tips above, you will significantly increase your chances of safety. Injured in a St. Louis Car Accident? Give us a call 24/7 at (314) 361-4242 for a FREE case evaluation.